It is a truism that medium and message are merging together unlike ever before, a relevant concept well worth remembering when trying to grasp the art of Natalia Skobeeva. As a photographer, she has incorporated a wide range of creative processes and produced some truly unique images. But swimming beneath their surface is the shadow of something more complex and vigorous; an investigation into the ways photography can become self-reflexive and explore its own possibilities as a medium. 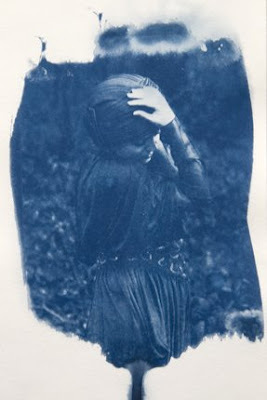 Using vintage cameras, pinhole and Lomo photography and by printing her work on hand-made paper, silk and metal, Skobeeva´s pictures emphasise immediacy and remind us of the fact that photographs are as much an object as they are an image. The artist has consciously set about exploring the chemical fundamentals of photography as a kind of “alchemy”, dealing with the exposure process and, by extension, the nature of light, colour and photosensitive materials-that what defines the work when looking retrospectively. At present, photography is essentially centred on the camera rather than its raw materials: time, light and chemistry. With the digital revolution, the medium has also seen its popularity dramatically increase because cameras become cheaper and people no longer need an expert working knowledge of the equipment to get a good picture. By contrast, Skobeeva´s photographs, eschew such “picture perfect” attitudes of the digital age, and with this gesture, she opts for something more experimental and unpredictable. On several occasions, Skobeeva has spoken about how she lets the “god of photography” guide her, wholeheartedly embracing the elements of risk and chance when documenting the world around her. 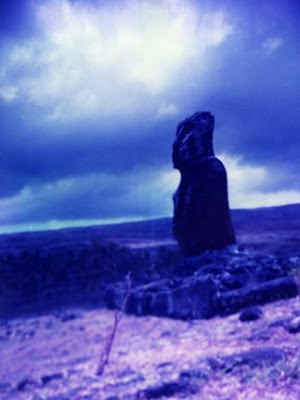 Indeed, Skobeeva´s most recent body of work, Polaroid from a trip to Easter Island, is characterised by the use of out-of-date, often discontinued Polaroid film. The results may be wildly unpredictable but all the photographs bear a signature style. They often appear overexposed or deteriorated, and slightly out of focus, imperfect in their quality and unreal in their colour. 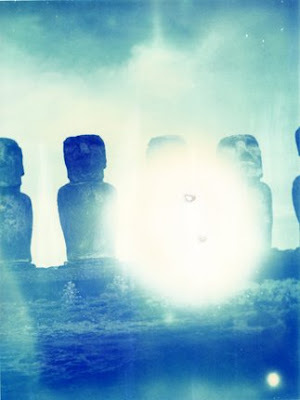 The Polaroid is complicit in suffusing her visualization of the famous monolithic heads with a supernatural and magical quality that heightens the mystery of the objects and the psychologically charged nature of the encounter. What these particular photographs do is demonstrate the potential beauty of the Polaroid and its tremendous ability to add its own sheen to an image, appealing to the artist because it makes explicit the artifice of the photograph. Significantly, days after the project was completed, Polaroid officially announced that they would cease all production in favour of digital photography products. Yet, for Skobeeva, photography has always been the product of a cumulative process rather than the photographic moment. For one of her other projects Cynotypes, the artist has produced a series of striking portraits; classy, artistic, beautiful and just as serious as conventional photography. While attention is duly drawn to her subjects ,who are pictured lost in deep thought (part of the artist´s intention to portray the psychological states, the inner worlds in which we chose to live or sometimes hide), it is the final composition that is most artistically conceived, leaving you wondering about the complexity of her creative process. This photographic series is one of Skobeeva´s most exuberant displays of technical wizardry in the darkroom to date. 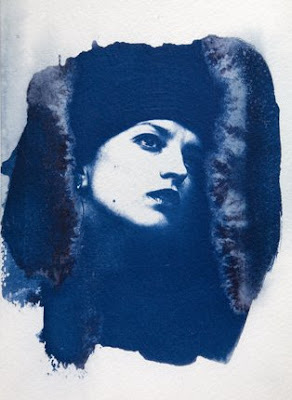 Her use of burnouts and great swathes of blue to transform the negatives into prints with glowing, hallucinatory washes of colour can again be seen as a rebuff to the surfeit of digitally manipulated photography. Elsewhere in her oeuvre, the artist has also added “recycled” film to her repertoire of peculiar processes in the series Let Loose. In this work she shot sightseeing icons in London and then buried the negatives in coffee from different global coffee chains. This exhibition also shows other possibilities of discussing what photography is, when you remove the camera from the equation altogether and cast aside everything essential to its processes-film, viewfinders, enlargements, f-stops or tripods. Her pinhole series, shot inside the world renown art college Central St Martins on Charing Cross Road, documents a day in the life of the building and its students. She wanted to capture the psychological state of the building more than its physical appearance and embraced photography as a memory medium where different times coexist. 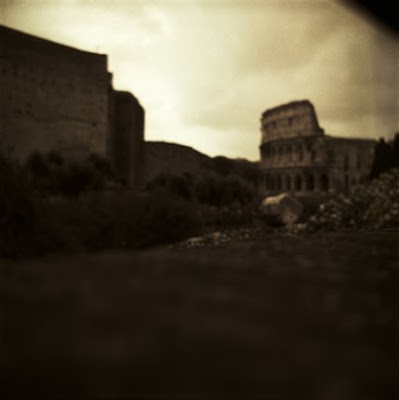 Using a pinhole with its lengthy exposures enabled her to capture long periods of time. Within each frame, there are countless students (captured but not seen) with all their creative ideas, hopes and concerns. 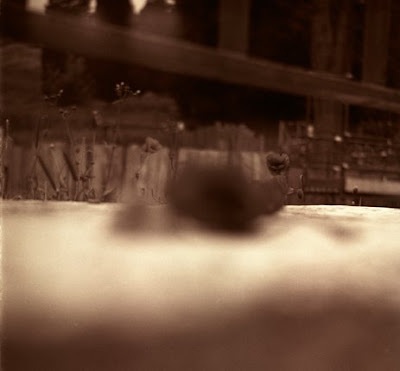 The images are apt metaphors for photography itself: a mute presence standing in for an absence. Ultimately, her varied output reflects a great curiosity about photography and its reciprocal relationship to visual perception. At the same time, the individual photographs on display in Peculiar Processes attest to a collective desire espoused by many a photographer to re-evaluate the meaning and nature of the medium. Of course, photography can never help but reflect on its own status and condition but it is not by accident that the work of Natalia Skobeeva willfully reject digital manipulation. Instead, her pictures directly engage with a view of photography that equates extending a tradition with its continual questioning. Peculiar Processes runs until January 4, 2009. This essay was first published in November 2008 by Viewfinder Photography Gallery, London.